Whoever is looking for wallpapers will be spoilt for choice. The most common types of wallpapers differ, for example, in relation to environmental tolerance and booking time – the time between pasting and hanging the wallpaper, recommended by the manufacturer. Apart from its use as non-woven wallpaper, the mixture of chemical pulp and textile fibres is also being used as backing material when producing other types of wallpapers. This method is especially popular because of the easy hanging of non-woven wallpapers. 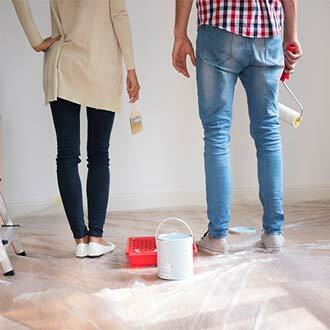 When hanging non-woven wallpapers, the paste is being applied directly to the wall after which the wallpaper can be hung – without booking time. Thanks to their water-resistance, non-woven wallpapers are for example suitable as kitchen wall coverings. Meister- or Malervlies (lining wallpapers) are white non-woven wallpapers, which, once hung, can be painted with wall paint or can be used as underground for the "real" wallpapering. All those to whom the environmental tolerance of the wallpapers is highly important should have a look at this type of wallpaper. Paper wallpapers are usually made of recyclable paper. Just as non-woven wallpapers, paper wallpapers are also often used as backing material. The most important disadvantage compared to non-woven wallpapers is the booking time that has to be considered before hanging the paper wallpaper. In contrast to the dimensionally stable non-woven wallpapers, paper tends to deform. 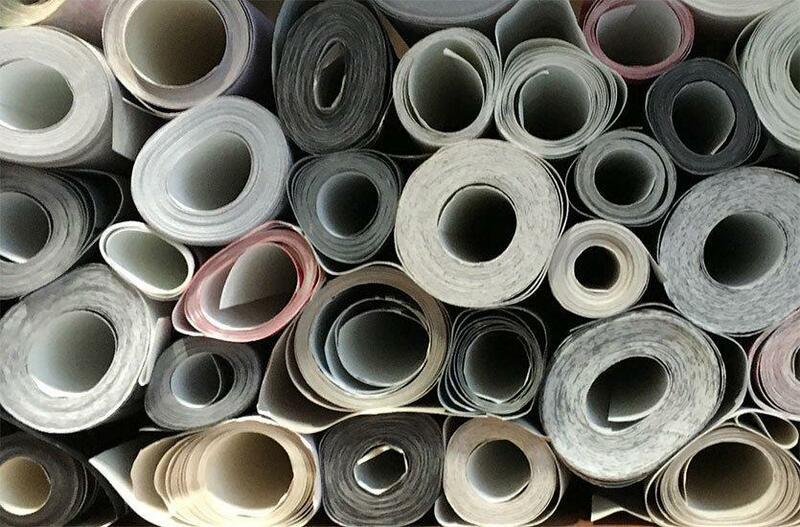 What all these wallpapers have in common, is that they are usually applied to a backing material, non-woven or paper (in technical jargon: coated). Their characteristics are, therefore, highly determined by the material of the particular backing material. Varying coating materials are primarily used to achieve visual and haptic effects. - For metal wallpapers, the coating of the backing with a metal foil (e.g. aluminium) creates a metallic optic. - To produce photo wallpapers, a picture is being printed on a non-woven or paper backing. - Textile wallpapers offer the possibility to include the haptic characteristics of various fabrics into the wall decoration. - Vinyl wallpapers are being produced by coating the backing material with PVC. Because of their resistance to detergents, they are often used where they are exposed to stains and dirt. 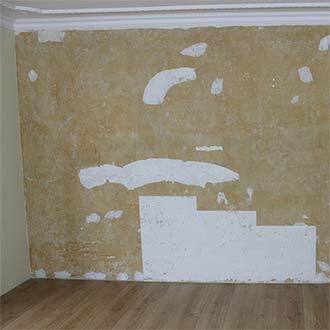 Woodchip wallpaper could also be counted among coated wall coverings. It consists of paper that is enriched with wood fibres. A border is being used as decorating element. The narrow strip that is also being used in a lot of stair cases is usually being made of high-quality paper or non-woven material. You can choose from a great variety of designs, from simple textures to patterns from movies and TV. If the border is not self-adhesive, it can be hung with a special paste. 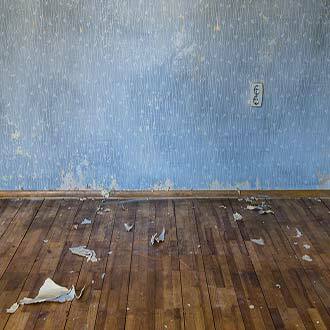 Wallpapering or painting – What is more time consuming?